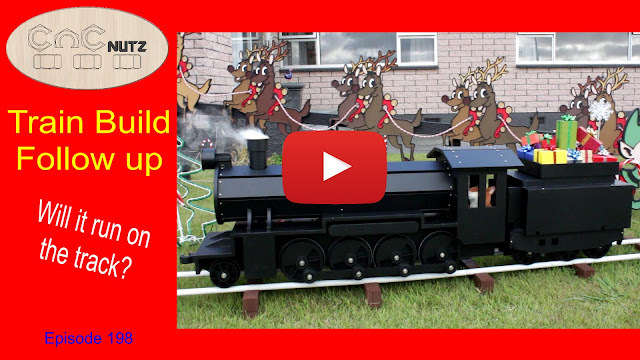 At the end of October we had cut the train kit out and I passed it back to my Brother to paint, assemble and modify to make it run on a rail for his Christmas display. This video shows the final result. The painting and assembly was easy but the real question is would it run on a track? The model was scaled up to use 12mm plywood and modified to run along the track puffing steam out the chimney. A light was added to the front of the train and the final touch of a steam train sound track playing from a speaked mounted on the train. Both day and might this train looks the business.